During a recent training with Craig Douglas of ShivWorks, I was introduced to the world of realistic training with the help of airsoft guns. I really had no idea the high quality airsoft trainers were so realistic, accurate, or well made. The idea with airsoft being that regular and higher risk live training is done with the airsoft gun to minimize training risk to a negligible level. I still believe that a year spent dry fire practicing will net more advantage than weekly range trips with live fire, but I believe airsoft holds a legitimate place between those two extremes. During the Armed Movement in Structures training we used airsoft to metaphorically kill each other, but you can do so much more than entry training. Want to do high stress fast draw drills without accidentally shooting yourself and having a trip to the hospital? No problem, if you use airsoft it will only be a harsh stinging reminder that you were pushing outside of your safe control speed with the handgun. 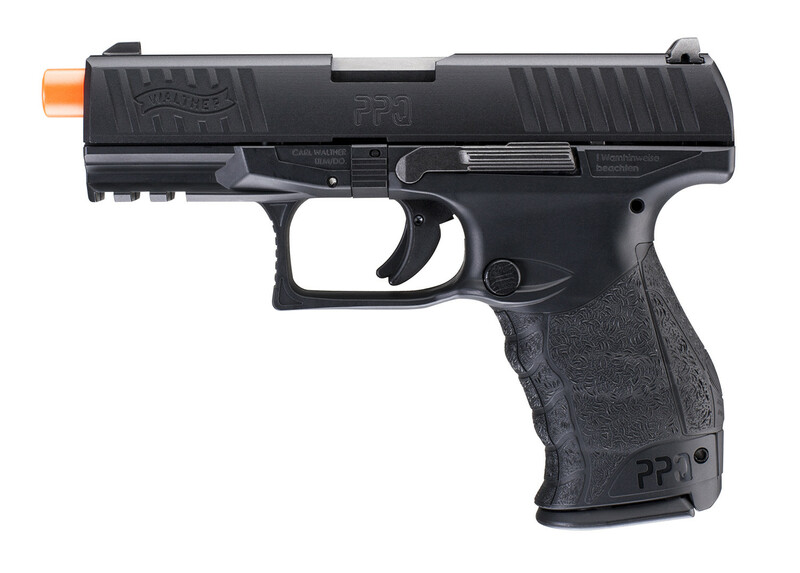 My airsoft gun of choice is the Umarex USA (AKA Walther USA) green gas airsoft PPQ M2 pistols which perfectly match in every way to my real PPQ M2 .22LR and PPQ M2 9mm pistols. Heck Umarex even has a PPQ M2 .177 caliber pellet pistol if you want the entire progressive training kit. Previously I have heavily used the .22LR version as a trainer on steel, but now I also have a back yard option for training as well. Green gas guns are refilled with a larger canister like you would a butane lighter - press in for a few seconds and you are ready to shoot again. The upside is charging the gun is quick while you are reloading BBs, but the downside is that it recharges are required usually every other magazine BB reload. 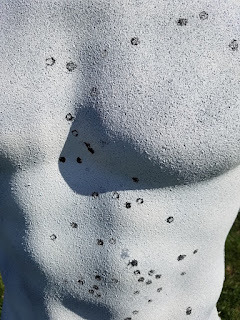 During my review of Rubber Dummies targets, which by the way are the single best training target I have ever tested, I realized that airsoft BBs would leave smaller but still noticeable impact mark on the Rubber Dummy target. 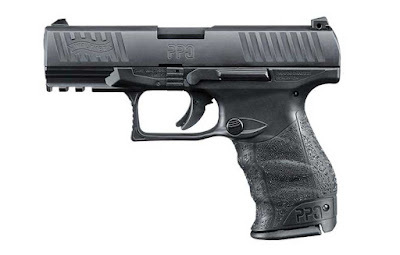 Coupled with a quality airsoft training pistol and a comparable holster to your carry holster, these three items deliver a very realistic and very safe back yard urban training environment. My green gas powered Umarex PPQ airsoft gun could deliver visible marking hits all the way out to 15-yards on the Rubber Dummies. Add in a free shot timer app for you smartphone and you have everything you need to start some real training work. Of note, I really have become fond of Clinger Holsters 15-degree Stingray and have this holster for a number of my regular carry guns including my Walther PPQ 9mm, Glock 26, Glock 19, HK P30SK, and HK VP9. 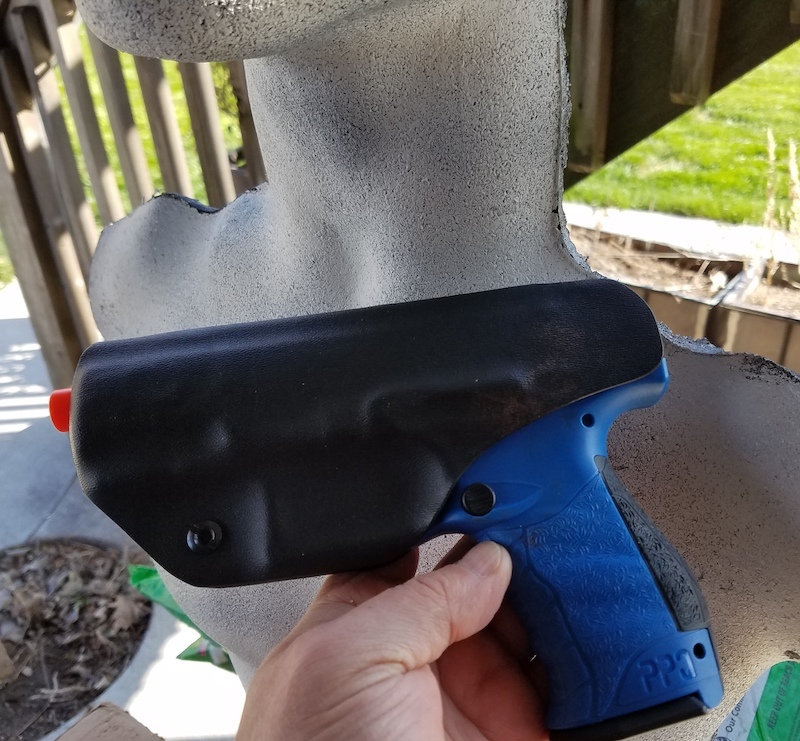 For $39.99 it should be an easy purchase to assure your airsoft gun has a proper holster to practice from. 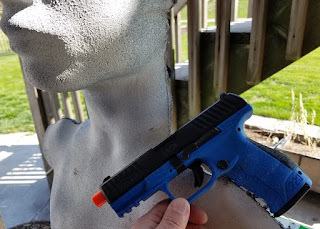 Now that the weather is nicer, I have really been using airsoft training a lot and my draw from concealment speeds have increased significantly from a solid average around 0.5 secs to a few 0.28 - 0.30 sec first-shot. Part of that is being able to do A LOT of repetitive drills, being able to work through the kinks and micro motions without worrying about an accidental and potentially fatal live round discharge. 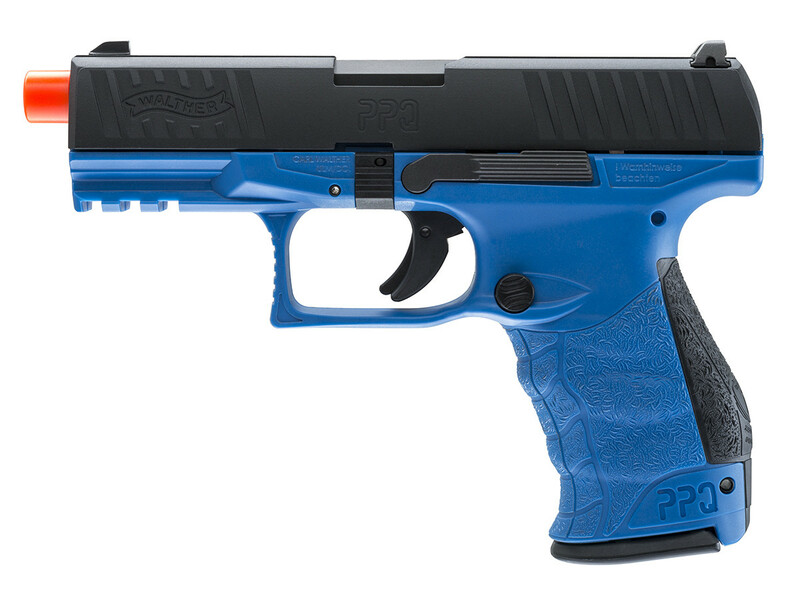 The other aspect is that after the investment into a high quality $100+ airsoft gun shooting is essentially a rounding error in your usual ammo budget at around $0.84 per 100 rounds, or about $42 per 5000 round if you buy premium gas and premium BBs. AIrsoft is super cheap practice that pays for itself very quickly. You can also practice riskier drills such as placing your left hand on the right hip to simulate a captured draw stroke of your opponent while drawing and shooting. Generally this drill is done with a bent support arm up with the left hand near the ear to get the arm out of the way of the bullet. In the usual drill, the right hand partially draws the gun with a very high elbow and a shot is taken on the opponent in a downward 45-degree direction away from your body parts. Again ShivWorks does some training on this and has some great videos about how to do this correctly without shooting yourself. Obviously modifying this drill to place your hand more in line with a potential bullet path is risky, but a great realistic scenario and use for airsoft - if you shoot your hand you will know it and is a reminder to slow down. Generally I use airsoft for very close drills less than a foot away, but sometime much closer within grappling range. 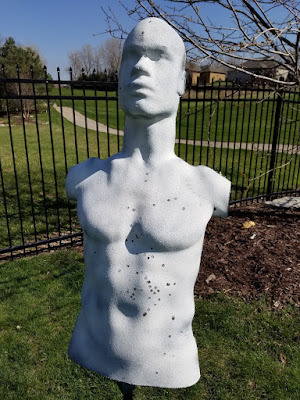 It really is interesting to get entangled gripping the Rubber Dummy target go through the drill and then slowly look at the gun angle, bullet trajectory, and where the shot ended up in comparison to your body parts. 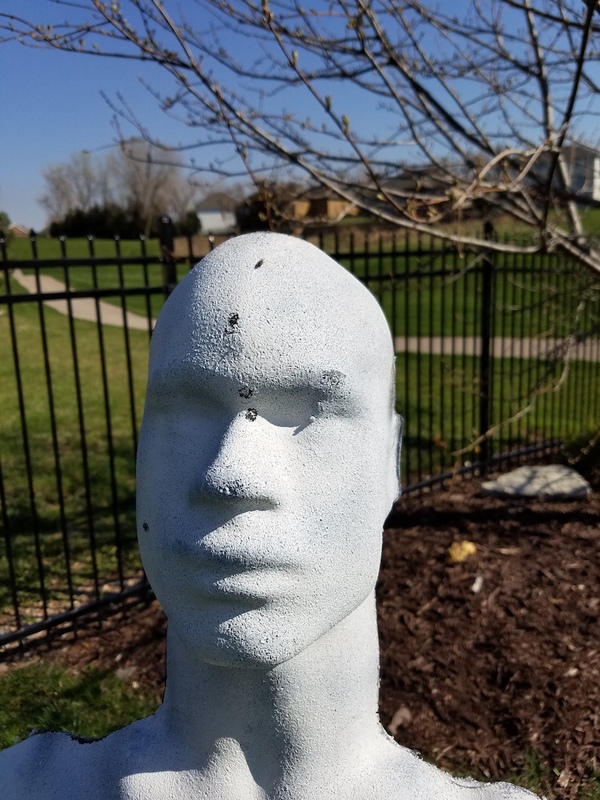 With the typical urban environmental sounds of most housing divisions, the report of most airsoft guns is about as loud as a kid playing basketball and cannot be heard more than a house or two each way. Airsoft is still far softer than the blap blap blap from the ever present re-roofing job in any neighborhood. What I really have enjoyed is being able to get outside in my backyard for 10-15 minutes to work though some realistic training and basic drills all while waiting for the wife to shower or the kids while waiting for the kids bus to show up. As we all know, once you have kids all those long uninterrupted full day range sessions seem to start to dwindle and this is one way to get back out there and work on your fundamentals.